by Austen, Jane, Johnson, Claudia L., Wolfson, Susan J.
Austen, Jane, Johnson, Claudia L., Wolfson, Susan J. "Arrange the great English novelists as one will, it does not seem possible to bring them out in any order where she is not the first, or second or third, whoever her companions may be....A little aloof, a little inscrutable and mysterious, she will always remain, but serene and beautiful also because of her greatness as an artist. 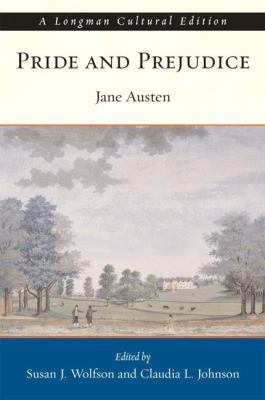 "Austen, Jane is the author of 'Jane Austen's Pride and Prejudice', published 2002 under ISBN 9780321105073 and ISBN 0321105079.